Mahavir Jayanti 2019: History, Celebrations, Food and Significance. Home » उत्तर प्रदेश » Mahavir Jayanti 2019: History, Celebrations, Food and Significance of Jain Festival. 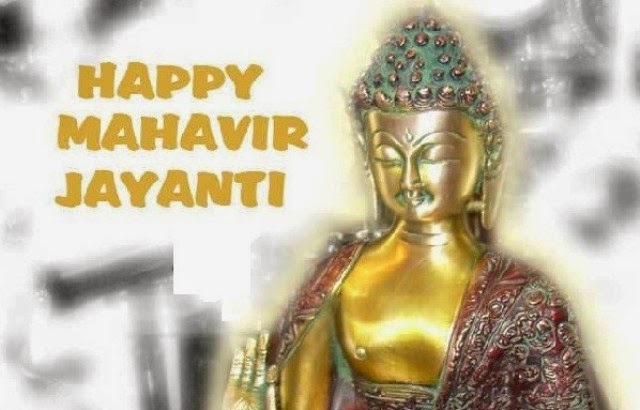 Mahavir Jayanti 2019: History, Celebrations, Food and Significance of Jain Festival. Mahavir Jayanti 2019, one of the most auspicious festivals in the Jain community, will be celebrated on the 17th of April Wednesday. This festival is celebrated by Jains around the world to mark the birth of Vardhamana Mahavira, who was the 24th and the last ‘Tirthankara’ (spiritual teacher) in Jainism. Mahavir Jayanti is usually in March or April, according to the Hindu calendar, it falls on the 13th day of Chaitra. This festival is one of the most important festivals of Jains, and is also remembered as Mahaveer Janma Kalyanak (Birth Anniversary of Lord Mahavira). According to historians, Lord Mahavir was born in a place called Ahalya bhumi which has not been ploughed for years by the family which owns it. Lord Mahavir was named ‘Vardhamana’, which means ‘One who grows’, because when he was born the prosperity in the Kingdom increased. Born to King Siddhartha and Queen Trishila, Lord Mahavir belonged to the Ikshvaku dynasty. According to Jain texts, it is believed that during his birth, Trishila used to have a number of auspicious dreams, signifying the coming of a great soul. While Svetambaras believe that the number is 14, Digambaras claim it is 16. On the 13th day of Chaitra in the year 599 BC, Lord Mahavira was born. There are some debates with the date of birth, with the Digambar Jains believing that he was born in 615 BC, while the Shwetambar Jains believing that the Lord was born in 599 BC. Lord Mahavir was an advocate of non-violence, and taught love and respect of all kinds of living beings to everyone. As Mahavir’s teaching taught about minimising pain to other creatures and ahimsa (non-violence), naturally then, Jains don’t consume non-vegetarian food. Jains are also known for their rigorous food habits and their strict abstinence from certain foods like garlic and onions, which are both root vegetable. So during Mahavir Jayanti, every dish prepared never include onions and garlic. Reporter : Mahavir Jayanti 2019: History, Celebrations, Food and Significance of Jain Festival. Lok Sabha Elections 2019 : Ravi Kishan Replaces ‘Giant Killer’ Praveen Nishad From Gorakhpur in BJP’s Fresh List. Indian Railways Suspends Two Employees after train tickets with photo of PM Modi printed on them were issued.